The guided relaxation natural self hypnosis scripts are a good match for your emotional health and personality type if you’ve been mistreated as a child. More specifically, if you carry deep emotional hurt from having been abused (even only verbally), treated unfairly, neglected or humiliated by authority figures in your life during childhood. …then, you will respond best to the Guided Relaxation Natural Hypnosis. The guided visualizations in the Natural Hypnosis for Weight Loss audio are set on a soothing musical background that creates the deep relaxation you need for the healing hypnotherapy scripts to work best. Through a mix of metaphor, natural hypnosis and gentle post hypnotic suggestions, these self hypnosis downloads (or CDs) heal and strengthen your whole energy system. As a result, you get endless support and release, the very nutrients and essences that your energy body has been hungering for all this time – you will simply love the natural hypnosis featured in this audio program. As you can imagine, to get in shape and have a truly healthy body, all your “parts” must come on board: physical, mental and emotional. When there are subconscious conflicts between these “parts”, you end up with yo-yo dieting and only occasional exercising where nothing is achieved… but a LOT of struggle and frustration, right? Well, the self hypnosis scripts in the Natural Hypnosis for Weight Loss audio gradually transform the way you feel and think about yourself, helping you learn to love and take care of your body so that the new health habits (that you adopt without even realizing it) result in effortless, natural weight loss. These natural self hypnosis downloads feature advanced relaxation techniques and hypnotherapy scripts that work on the energetic root causes of needing to store up fat making your body want to lose weight… You experience them as true catalysts for a dramatic mental and physical transformation with very little or no effort on your part. 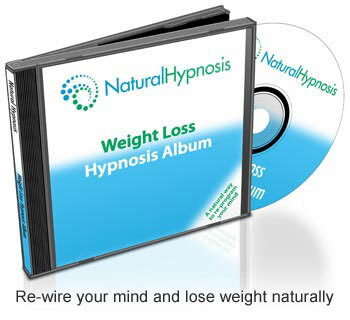 When you use these specific self hypnosis downloads regularly (once a day) for at least 21 days, the hypnosis suggestions install an empowering mindset for losing weight naturally, while erasing the emotional disturbances in your energy body and any long-time emotional trauma. What are Others Saying about these Natural Self Hypnosis Downloads?